Less than two weeks after Bitcoin BTC broke the $7,500 barrier to hit an all-time high of $7,700, the popular cryptocurrency has yet again surged past the $7,000 mark. 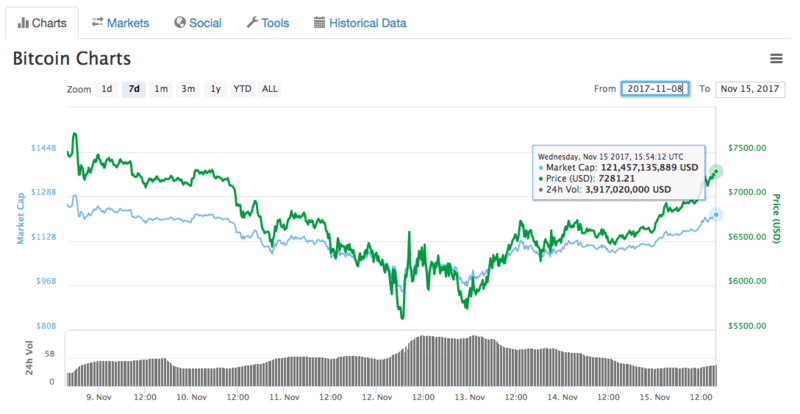 Despite a bumpy week which saw Bitcoin price drop to below $6,000 at one point, the cryptocurrency fluctuated around the $6,500 mark, until earlier today it passed the $7,000 threshold for the second time ever. 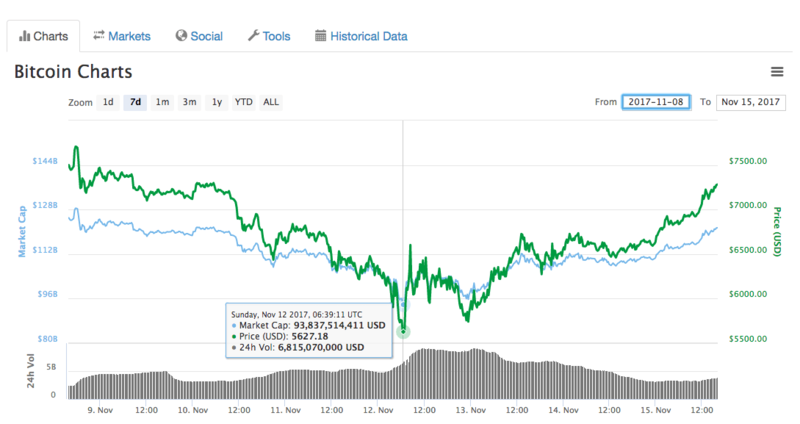 In case you were wondering, the sudden jump in value amounts to an almost 10-percent increase in the last week, according to Coin Market Cap. The cryptocurrency was slated for a controversial software update, designed to increase the blocksize, and, in the process, split the Bitcoin chain in two separate entities, creating two independent currencies. However, facing a heated backlash from the cryptocommunity, the so-called Segwit2X update was eventually suspended for an indefinite period of time. Meanwhile, Goldman Sachs Vice President Sheba Jafari last week speculated that the popular crpytocurrency will consolidate at around $7,941 until it eventually climbs up over $8,000. Until then, I hope you got to score some Bitcoin on the low during last week’s dip – if not, better aim to catch the next one.